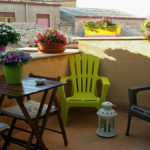 Doric Bed is a Boutique Hotel very close to the Valley of the Temples and not far from the city center. The hotel boasts many rooms that can satisfy all customers requirements. Deluxe rooms with private pool, rooms with an annex, standard rooms, connecting rooms and economy rooms. All rooms have a bathroom with shower, air conditioning, safe, minibar, courtesy set, hairdryer, tea kettle and LCD TV. Guests who want to relax can take advantage of the pool and spa with emotional shower, massage, turkish bath and Jacuzzi. 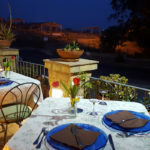 Doric Bed Boutique Hotel is not only a place to sleep and feel good but also where you can taste the typical dishes of the best local tradition, quality fish and meat, original recipes prepared with care and passion.